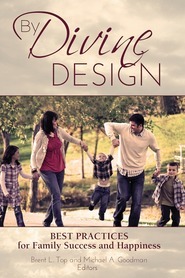 During his mortal ministry, the Lord Jesus Christ loved, taught, healed, and interacted with numerous women. 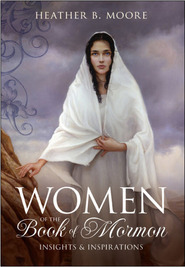 More than fifty specific women are introduced in the New Testament, with multitudes of others numbered among the Savior's followers. 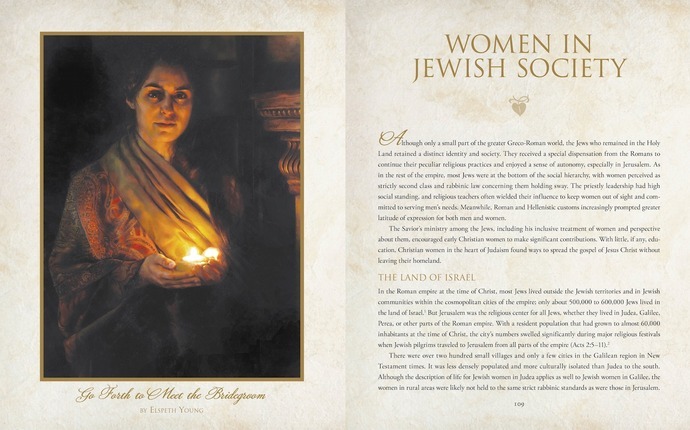 Whether these women were identified individually by name or simply mentioned as a devout follower in the crowd, their stories of sacrifice and eager service have rich meaning and application for our lives today. 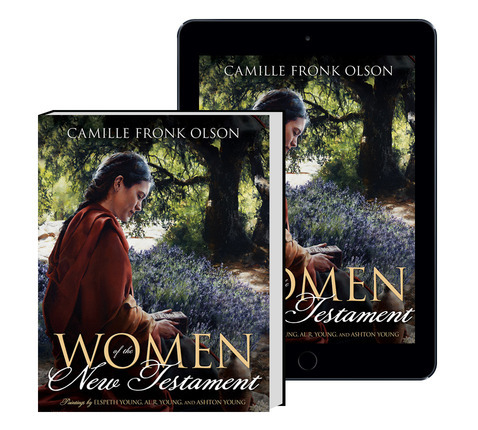 In this well-researched and richly illustrated companion volume to Women of the Old Testament, author Camille Fronk Olson focuses on many of these remarkable women and explores the influence of Jesus Christ and his gospel on women living in the meridian of time. It may be surprising to learn that their challenges and personal struggles are not unlike our own. 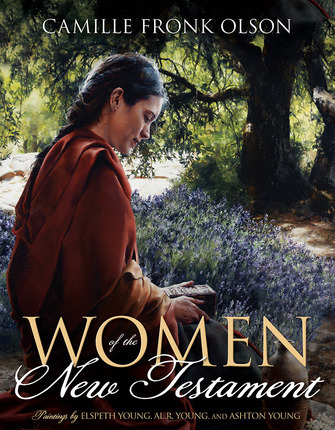 From his beloved mother, to a quiet woman in a crowd, to two sisters each desiring to serve the Lord in her own unique way, to a woman weighed down by sin, they bore a powerful witness of the Savior before and during his earthly ministry. Others, including Lydia, Phebe, and Prisca, proclaimed truth and labored to spread the gospel after his Resurrection. Amid traditions that frequently marginalized women or restricted them to certain roles, often defining them by their relationship to men, Jesus saw them first as individuals with agency to choose how they would use their God-given gifts. 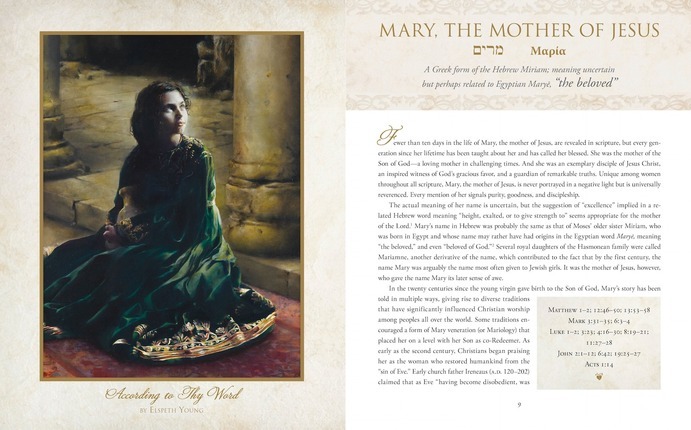 With exquisite paintings created by the artists of Al Young Studios (Elspeth Young, Al R. Young, and Ashton Young) especially for this volume, Women of the New Testament provides illuminating perspectives on individual women whose examples of faith and devotion continue to inspire us today. 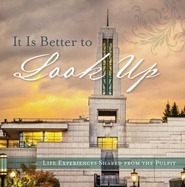 Elspeth Young received a bachelor’s degree in Fine Art from Brigham Young University. 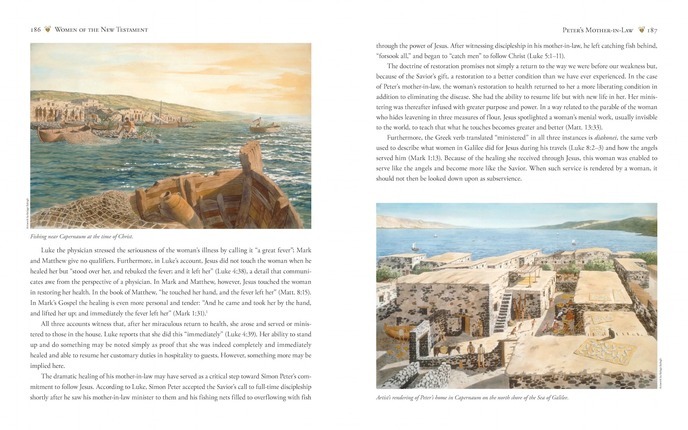 During her studies there, Camille Olson, a professor of Ancient Scripture, inspired Elspeth to begin painting lesser-known women of the Bible and mentored Elspeth’s research. Upon graduation from BYU in 2003, Elspeth began working full-time as a studio artist, photographer, writer, composer/arranger, and graphic artist. Elspeth concentrated her painting primarily in the area of religious art, which is where she finds her greatest fulfillment. 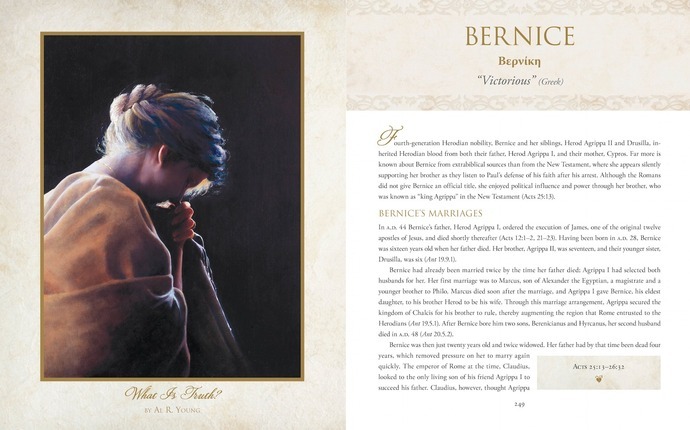 She is currently collaborating with her father, artist Al Young, on a series of images featuring heroes of the Book of Mormon, and has begun work on a series featuring latter-day women of faith. I read this book though it took me awhile, but I loved every page of it. I learned so much and it made things more understandable. Everybody would benefit from this book. It made things more clear as far as culture and customs. I so wise that there was ways to bring it to more peoples attention when teaching in Gospel Doctrine. I am still reading this book but am totally loving it. 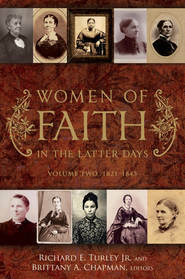 It has given me so many insights not only into the life of the women (and their male associates) but also into the scriptures themselves. Understanding the cultural and religious background of the day helps us to more fully understand the teachings of the Saviour as we put ourselves in their shoes rather than looking at the scriptures from a modern day paradigm. It is well written with beautiful colour plates and illustrations.